All NTA tour operators feature some form of arts, culture and entertainment on their itineraries and travel product/services. More than 60 percent of NTA tour operators offer packages with historical and heritage sites or attractions. 60 percent of NTA tour operators offer packages that include events such as fairs, festivals, carnivals, parades and exhibitions. 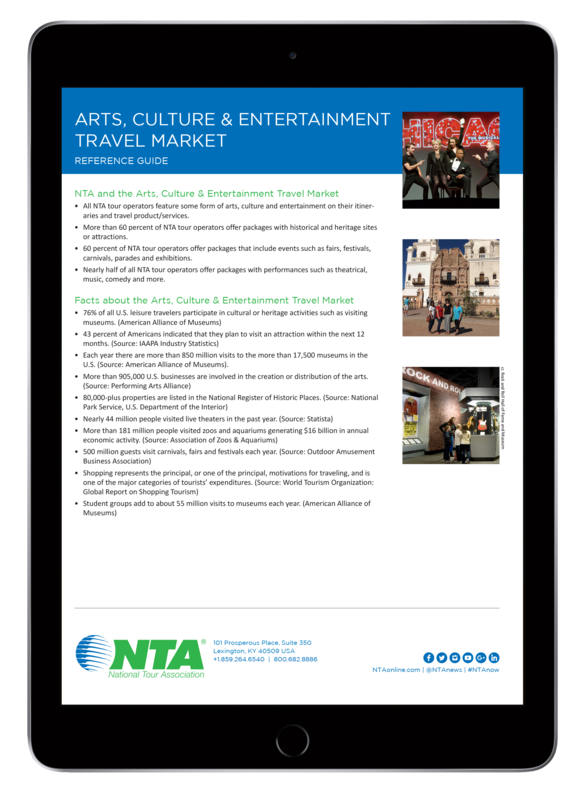 Nearly half of all NTA tour operators offer packages with performances such as theatrical, music, comedy and more. More than 12 million people attend Broadway shows every year, generating $1 billion in ticket sales. The San Diego Zoo was ranked as the number two zoo in the United States and world by the 2014 Travelers’ Choice rankings, while San Diego Safari Park was named the fourth-best zoo in America and 11th overall in the world. The Smithsonian is the world’s largest museum and research complex. New York City Ballet has the largest repertory of any ballet company in the world. 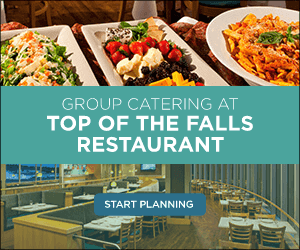 As one of the most visited tourist destinations in the world, Minnesota’s Mall of America features 520 stores, 50 restaurants and attractions, and the nation’s largest indoor theme park. USA Today chose The Butchart Gardens as one of the 10 Best Public Gardens while National Geographic named it one of the Top 10 Magnificent Gardens. Parks Canada is the largest provider of natural and cultural tourism product in the country, and its iconic destinations form the cornerstone of the Canadian tourism industry. The Oregon Shakespeare Festival welcomed more than 400,000 patrons who saw 805 productions and spent nearly $20 million on show tickets. More than 100 million people have visited Colonial Williamsburg in 80+ years. Sight & Sound Theatres is the largest faith-based live theater in the country with nearly a million attendees each year. The CN Tower was declared one of the modern Seven Wonders of the World by the American Society of Civil Engineers. Groups can take advantage of a number of options found within the Smithsonian museums, from hands-on demonstrations to guided tours. The depth of Smithsonian's collection, which includes more than 137 million artifacts, means repeat visitors can have a fresh experience year after year.Pauline Bonilla, Smithsonian Institutions, Washington D.C.